Using a baby carrier or sling to transport your baby in cold weather can feel like your own personalised hot water bottle. Sharing your body heat your little one ensures he or she stays pretty toasty, too. So if you’re taking your baby out in wintry or cold weather, and you want to leave the pram or buggy at home, a sling or carrier is the best choice. The following slings and carriers, all of which have gone through rigorous testing by Which?, could be an option if you’re heading out for a winter walk. They’re sturdy and should stand up to the elements and we’ve listed which are best for wearing under your coat or jacket and over the top. Read on to find out whether they’re comfortable, easy to use and how they scored in our tests. See our recommended best baby carriers and slings. 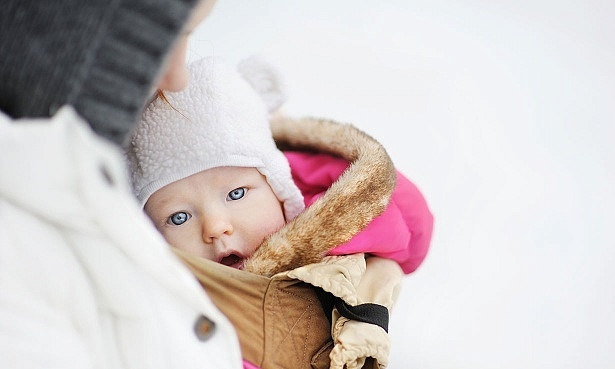 Using a baby carrier or sling under your coat has some distinct advantages. It’s great for younger babies, as your closeness and body heat will help to warm and soothe them. Plus, if they fall asleep, you can come back inside and remove your coat without waking them. 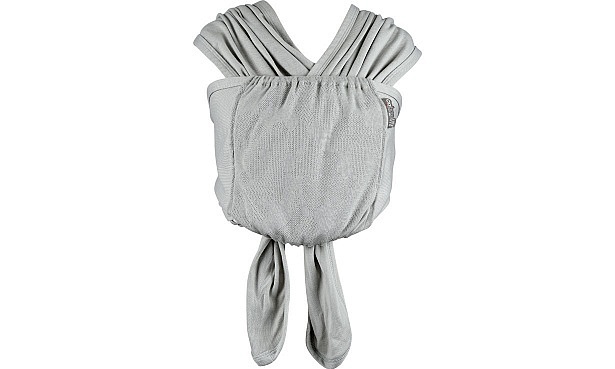 This baby sling wrap is made from one piece of stretchy material. You tie it round yourself before sitting your baby in it. The knot ties at the front so it can fit under coats without creating a lump on your back. When we tested this sling, the parents in our user trial found it was made of thicker, jersey material than some other wrap slings. This could be handy if you plan to carry your baby over winter and want a warm material. Read the full Je Porte Mon Bebe Basic wrap review to find out key info you need to know to use this wrap safely. This baby carrier is made from thinner material than other more structured carriers, which should mean the shoulder straps are easier to fit under your coat. 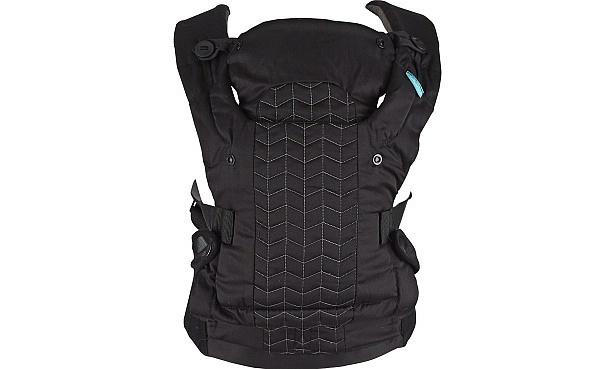 Read our review of the Izmi carrier to find out why this carrier doesn’t suit all parents. 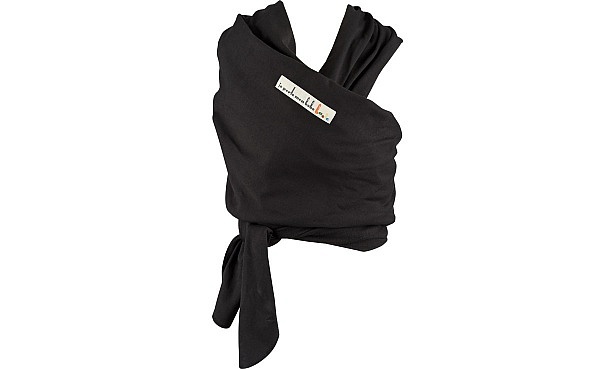 The Close Caboo Lite is a cross between a wrap and ring sling. It’s fastened using metal rings and your baby is placed within the pockets that the material creates. It has a second piece of material that you wrap around you for extra support. This material can act as additional insulation if you’re out in the cold. However, see if you can tie the knot of the wrap material around your front or side so it doesn’t dig into your back when your coat is on. Find out more about this wrap’s comfort and how good the carrying position is for your baby by reading our review of the Close Caboo Lite . 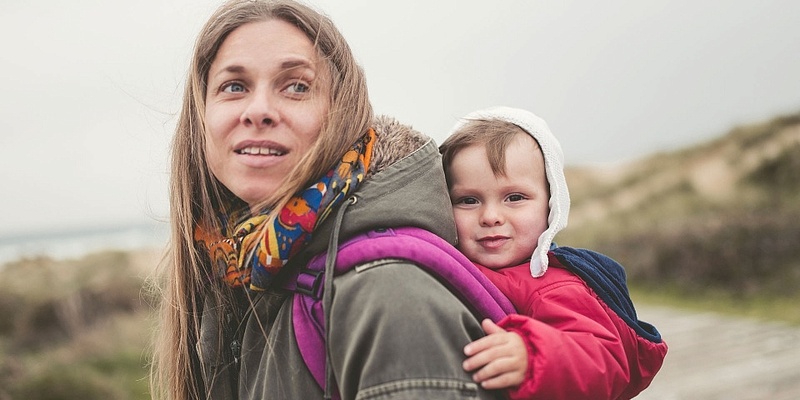 If your baby is a little older and likes to have a good view of the world, carrying them on your back in a baby carrier or sling worn over your jacket can work well. It’s also handier for any fidgety or independently minded toddlers as you can take them out without having to remove your coat. The adjustable straps and waistband should make it easy to fit over the top of your winter coat. It’s also possible to buy a rain and wind cover that attaches to the Omni 360 to protect your little one from the elements. It costs £29.90 and is available from the Ergobaby website. Read the full review of the Ergobaby Omni 360 to find out what we loved about it and the niggles our testers found. The Infantino Upscale is easily adjustable and the straps are well-padded. Our tests found both parents should be able to fit it on easily over a coat. To find out whether it also holds your baby in a comfortable and ergonomic position, read the full Infantino Upscale Customisable baby carrier review. 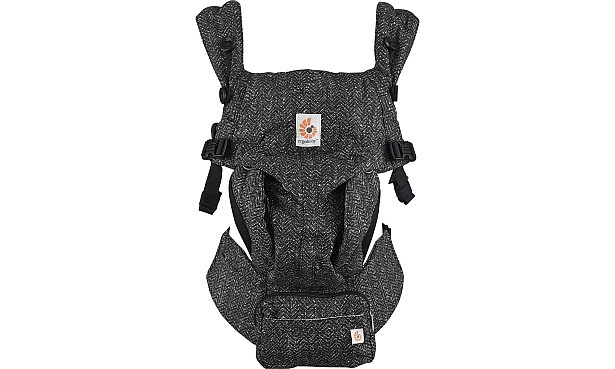 The BabyBjorn One is another structured carrier with plenty of padding on the straps, which should make for comfier carrying. The straps are adjustable to fit over a coat. 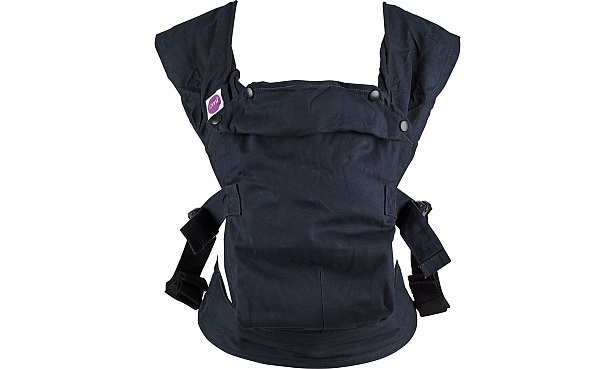 It’s possible to buy a rain cover for this BabyBjorn carrier (£38) that’s water resistant, windproof and fleece-lined from the BabyBjorn website. BabyBjorn baby carriers have plenty of fans but they also have their critics. 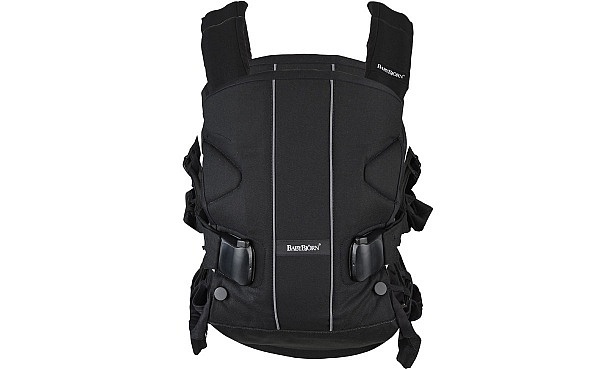 Read our full BabyBjorn One review for the definitive verdict on this baby carrier’s comfort. General baby clothing rules apply – your baby should wear one more layer than what you as an adult feel comfortable wearing – but remember that a fabric sling wrapped round will act as a layer of clothing. Clothing will also depend on whether you intend to carry your baby under or over your coat. A hat is a must in both cases unless you’re tucking your baby’s head under one side of a fabric sling, as a baby’s extremities tend to get cold first. Gloves or built-in mittens that are part of an all-in-one babygro are also useful, as are booties. Padded snowsuits are best avoided as they may cause your little one to overheat, and they can prevent your baby from sitting in an ergonomic and safe position in a baby carrier or sling. That’s because the material is too stiff to allow hips and knees to bend properly. Opt for removable layers to provide insulation. Babies aren’t able to regulate their temperature in the same way as adults so it can be easy for them to get too hot or cold. Remember, while you’re walking, you’ll be exerting yourself and staying warm, but your baby is immobile so may get cold. Alternatively, if you’ve wrapped your baby up warmly and he is she is cuddled into you closely, they may get too warm. Check your baby’s temperature regularly. You can do this by putting your hand down the back of their top to see if they’ve become sweaty or clammy (a sign of overheating) or if their hands or feet are cold (a sign they’re getting cold). A scarf wrapped round your neck could be an issue if it’s resting over your baby and obstructing good airflow by covering his or her mouth. If you do wear a scarf, snood or cowl, make sure it’s wrapped tightly round you and is not obstructing your baby in any way. Some baby slings feature wide straps that spread across your shoulders to help even out the weight. However, this could make wearing them under a coat a little trickier, so it’s worth considering this when heading out. If you’re using a baby carrier or sling for a muddy winter’s walk, check whether it’s machine washable to make it easier to clean afterwards. Read our guide to which baby carrier or sling you should buy for more tips on what to consider when carrying your baby.